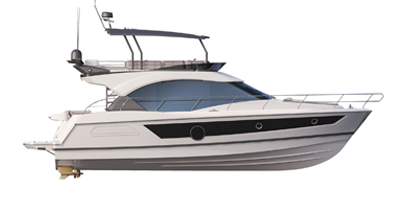 the Antares 6.05 benefits from advantages brought by the hull tunnel designed by André Bénéteau. The stability during anchorage and at low speeds is excellent. Its ability to stay on course is remarkable, even at a low speed and it is very suitable for troll fishing.